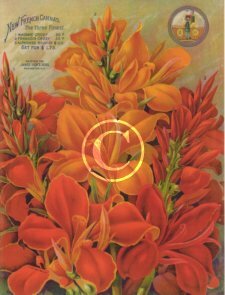 Many Canna Breeders raised an array of different canna varieties that originated from all over the world. Most of the old world hybrid cannas originated in France, while Germany and the United States of America produced many different canna plants and some great one's also come from Italy, some of these beautiful tropical plants have also been raised here in Australia. 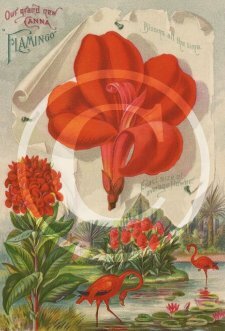 The oldest of the hybrid cannas originated in France. The French have introduced many great cultivators the first was raised by Monsieur The'odore Ann’ee. 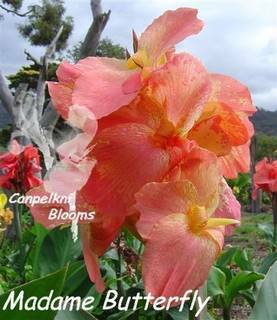 Other plants from French breeders that I grow are from Vilmorin-Andrieux, Jean Sisley, Jean Libaud and not forgetting the famous Antoine Crozy who raised the beautiful old world famous canna Madame Crozy along with many other varieties of Crozy Cannas. 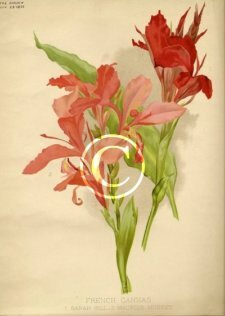 Not far behind from Germany was Wilhelm Pfitzer who produced some outstanding heritage cannas including Gnom raised around 1849. 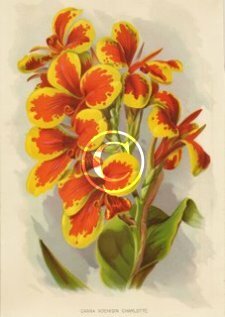 From the United States of America there was the famous botanist Luther Burbank raised the canna Burbank and gave a name to the sport from King Humbert, he appropriately called it Yellow King Humbert, this canna is still popular grown amongst English garden flowers. 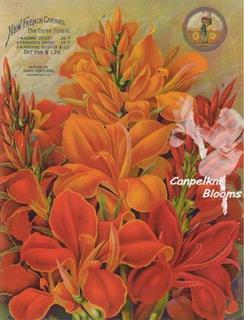 Raised by Mr. Caitlin was the Canna Star of 1891. There are also the four aquatic cannas raised at Longwood Gardens by Robert J. Armstrong in the early 1970's and the beautiful Madame Butterfly from the 1930s. 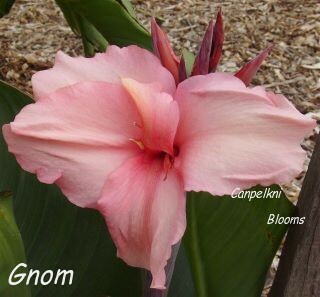 The Dingee and Conard Co of Chester County, Pennsylvania, USA raised the Canna Flamingo. 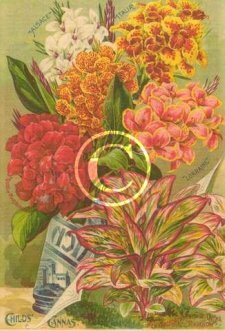 Here in Australia one of the earliest canna breeders that I found was Maurice William Holtze of Adelaide, research reveals Australia's first cannas were raised by him, he raised some magnificent exotic plants in 1902 and 1903. Another Australian hybridizing these tropical plants before 1925 was Colonel J. W. B. Field of Casterton in Victoria. 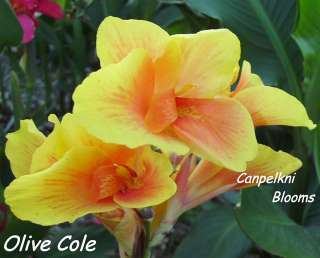 I also enjoy growing some of the beautiful cannas raised by Charles Frederick Cole who also resided in Victoria, and some from Bernard Yorke, Vicki Staal and Anne Glancy. 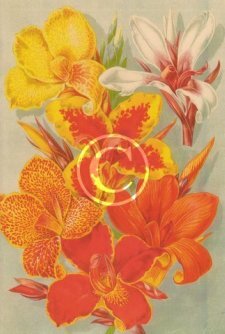 Today cannas in Australia are still a very popular choice as cottage garden flowers. Have you raised a new canna? Share it with us, show us a picture of your new plant, even if you have found a new variety growing amongst your others.